Encased in an exquisite portrait of nature Samui Sense invites you to touch the luxury of our pleasures by yourself and right at hand. The gentle pleasures of virgin Lamai Beach gleaming white sand, crystal clear blue waters all overlooking the lush tropical trees and gardens. Here you can enjoy outstanding sea-view especially spectacular at sunrise. 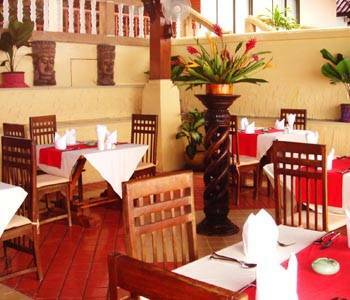 Appreciate all the charm and peace of a tropical hide-way while enjoying the convenience and hospitality of a truly splendid resort hotel. Welcome to Koh Samui. 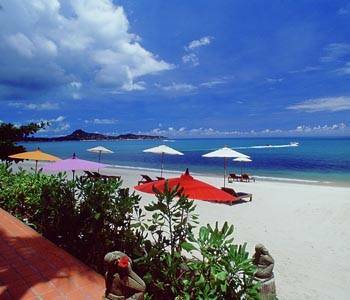 Thailand third largest tropical island and yet unspoiled paradise. 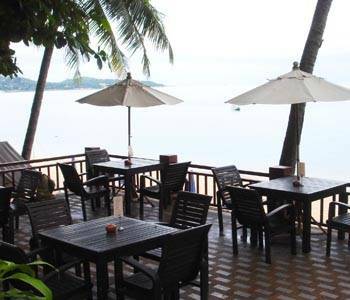 Koh Samui is best well-known for its white sandy beach, great air quality, fresh ozone, tantalizing seafood freshly caught from the sea, and its friendly people. 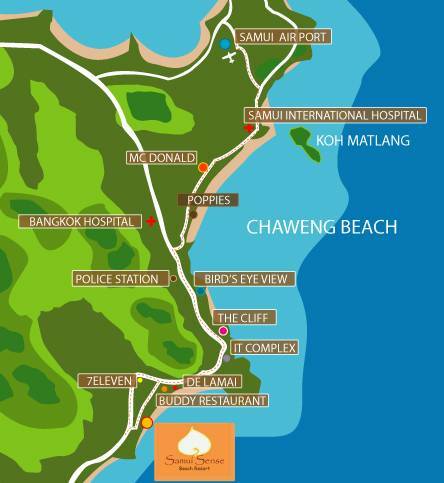 Some of the most popular beaches on Koh Samui includes Chaweng beach – the islands centre hotspot for shopping and night time entertainment. 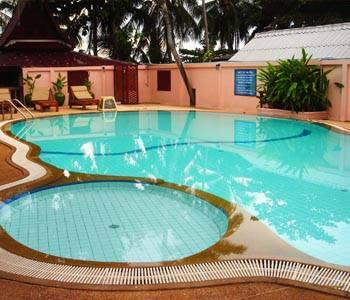 Samui Sense is located at Lamai beach and is Koh Samui second most popular beach area which can be discovered by walking, offering equal charm to Chaweng with more privacy. The southern end of Lamai beach is home to the Hinta Hinyai, the famous shaped rock formations. We welcome you to experience one of the world greatest hideaways. 1.Cancellations for Low Season & 40% discounted Promotion (01May-14Jul/ 16 Sep 11- 31 Oct 11/01 Nov 10 - 19 Dec11 ), can be made at least 2 days prior to guest's arrival date, or penalty 1 night. 3.Cancellations for Peak Season (20 Jan 11-10 Jan 12 ), can be made at least 21 days prior to guest's arrival date, or penalty 100% of total stay. Turn right at the Airport exit, then follow the road all the way until you come to a big 3 intersection, turn right there to Chaweng Beach Road and go straight until the end where you can find another intersection. Turn left and go straight, following the sign board Lamai. The resort is on your left hand side. From Koh Samui?s airport to Hotel : approx. less than 30 mins. From Hotel to Chaweng nightlife area : approx. 15 mins.